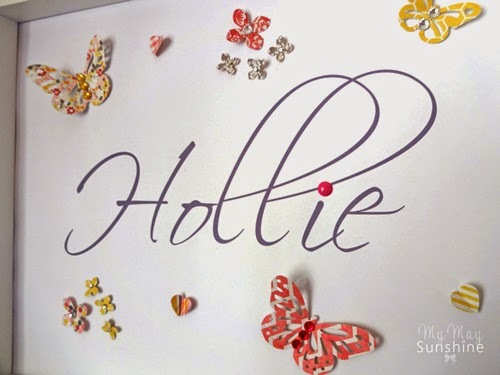 I have spent a long time trying to sort out the girls room and the decor that goes in there. 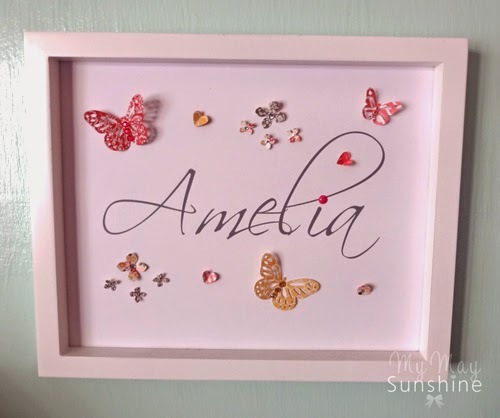 I really wanted to put up some frames with their names in them and decided to make them 3D. 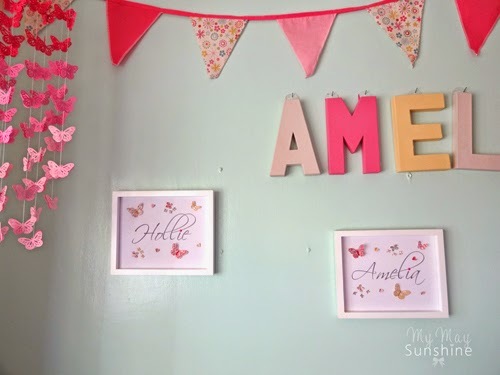 I went with the Ribba frames from Ikea as I love these frames and have them in all different sizes as I have used them here, here and here! I typed out the names in Microsoft Word and them printed them on some heavy weight paper but you could use regular if you are careful or card. 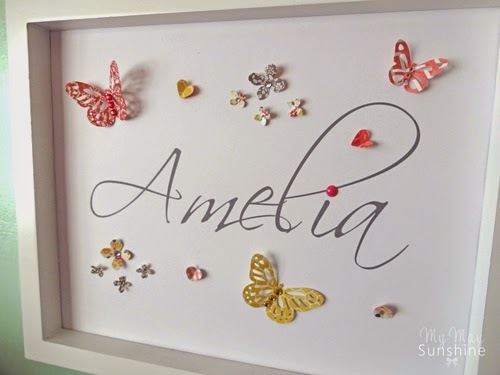 As I have a lot of different craft punches, I decided to make use of them and punched out some butterflies, flowers and hearts to decorate the picture. 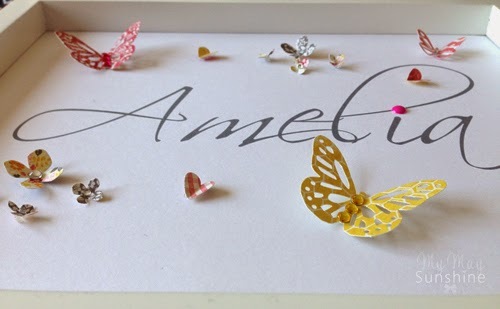 I also added a little pink gem on the letter I to add some colour. I made sure that they were 3D and added some gems to some of them to add some bling. I decided to hang the frames close together with some of the other decor I had put up as well. 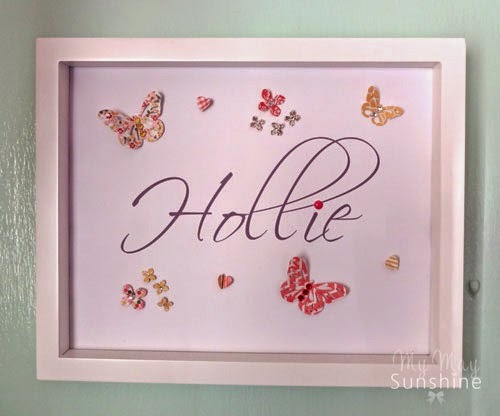 These frames were so easy to make and you could decorate them any way you would like and use any font and colour you want too. What do you think? Would they make a great gift? Would you like to receive one? Let me know.